Are you considering hypnosis for weight loss? Have you considered using hypnosis for weight loss? For most people, the word ‘hypnosis’ conjures up images of old school variety acts. They think of volunteers being convinced to cluck like a chicken. Or, a person is persuaded to behave like a cat, in front of an audience. It is a harmless bit of fun. Fortunately, hypnotherapy cannot be used to make somebody act against their will or ethics. Yet, there is another side to hypnosis. This side is a more serious affair. We are told that it can help us overcome our fears, anxieties, and personal limitations. It can get straight to the subconscious mind and change our thinking from the inside out. This is why hypnotherapy is now used to cure everything from smoking to phobias and even weight problems. The question is: Does Hypnosis for Weight Loss Work? Can using hypnosis for weight loss really lead to life changing results? This guide to the benefits of hypnosis weight loss will help you get to grips with the basics. It will help you understand why hypnotherapy is the secret weapon of people who are successful at losing large amounts of weight. Most importantly, it will give you actual techniques that you can use to create motivation and eliminate cravings and compulsions. Hypnosis is a medium of communication with the subconscious / unconscious mind. The unconscious controls our emotions, compulsions, habits, and involuntary behaviors. Being able to modify thoughts at the unconscious level of mind is what makes hypnosis so effective at modifying eating (and every other) behaviors. So, the great thing about hypnosis for weight loss is that you do not have to look elsewhere for resources. You do not need fancy self-help books. You do not need extreme diets. You just need to trust your own unconscious mind. Tip: When you think or speak to yourself, always talk in positive terms. Eliminate all negative words like: Can’t, cannot, won’t, will not, don’t, do not, not. As humans, we are very good at visualizing our goals. If you imagine that something is possible, you are more likely to be successful. This is often the first step to achieving challenging goals. Tip: One of the best ways to visualize weight loss is to find an old photograph. It should depict you at a lighter weight. Then, imagine that is what you look like now. In your mind’s eye, step inside of that imaged thin body. Imagine that you can feel yourself inside of that thinner silhouette. Imagine how it feels to walk in that body. Visualize how other people respond to you in that thinner body. Listen to the complimentary things that they say about you. See what you would see, from the same point of view as actually being there. Hear what you would hear. Feel what you would feel. Hypnosis for weight loss does not have to be carried out in isolation. In fact, lots of therapists pair it with cognitive behavior therapy (CBT). For example: Keeping a detailed food journal. Effectiveness of hypnosis as an adjunct to behavioral weight management. Bolocofsky DN, Spinler D, Coulthard-Morris L.
This study examined the effect of adding hypnosis to a behavioral weight-management program on short- and long-term weight change. 109 subjects, who ranged in age from 17 to 67, completed a behavioral treatment either with or without the addition of hypnosis. At the end of the 9-week program, both interventions resulted in significant weight reduction. However, at the 8-month and 2-year follow-ups, the hypnosis clients showed significant additional weight loss, while those in the behavioral treatment exhibited little further change. 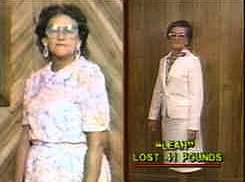 More of the subjects who used hypnosis also achieved and maintained their personal weight goals. The utility of employing hypnosis as an adjunct to a behavioral weight-management program is discussed. Journal of Clinical Psychology. 1985 Jan;41(1):35-41. Finally, hypnosis for weight loss does not believe in punishment for relapses. It does not assume that slip ups are failures. A great many diet and eating plans fall apart because people assume that mistakes spell the end. You have to understand that weight loss is a gradual process. While you are encouraged to work hard, a piece of cake at the wrong time is not a failure. It just needs to be balanced out elsewhere. The real value of hypnosis for weight loss lies with the fact that you are not working against your instincts. There is always a reason why we do the things that we do. If you have put on weight, there must be a reason. Once you take the time to understand this, you can think about the right ways to change it. Hypnosis offers exciting techniques that can attack negative motivations. It does not have to be a dramatic or extreme shift either. In fact, hypnotherapy recommends taking the time to think about your lifestyle, habits, and choices. Then, before you know it, the weight is dropping off quickly. It works because you have stopped working against the most important part of you – your unconscious mind. 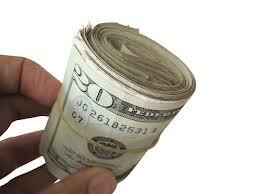 Professional hypnosis with a licensed and experienced expert in an office setting can be quite expensive. A more affordable method is to use self-hypnosis. Tip: If saving money interests you, seek out professionally produced hypnosis CD’s and MP3’s. Here are a few words of warning: All hypnotherapists are not created equal. Education in hypnotherapy varies. Experience with the use of hypnosis varies greatly; All prerecorded hypnosis programs are not created equal. There are several different schools of thought when it comes to hypnotherapy. The CD’s that you order must be well suited to your personality. What Method of Hypnosis for Weight Loss is Best for You? Tip: If you like to kick back and allow some else to guide you and make decisions for you, then you are a good candidate for Traditional Hypnosis. 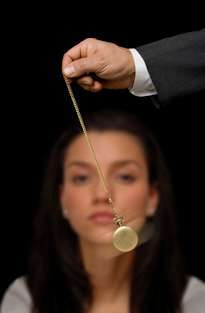 With Traditional Hypnosis, the hypnotist makes direct post-hypnotic suggestions. Tip: Are you are analytical in nature? Do you question everything? Do you tend to do the opposite of what you are told? In this case, Ericksonian Hypnosis is a better methodology for you. Ericksonian hypnosis is often called conversational hypnosis. With conversational hypnosis, the post-hypnotic suggestions are mixed into the conversation in a disguised way. Since the suggestions are disguised, the conscious mind is usually not aware of the suggestions, so it can’t resist or block them. Ericksonian hypnosis also includes the use of metaphors. Embedded command type metaphors hide the suggestions in a cover story that the conscious mind finds interesting and becomes absorbed in. Isomorphic metaphors are stories that the subject connects with at the unconscious level of mind. “The boy who cried wolf” is an Isomorphic metaphor. Tip: Are you analytical and highly technical in nature? If so, Ericksonian hypnosis is a good modality for you. But Neuro-Linguistic Programming (NLP) might be best for you. NLP capitalizes on teaching the subject to use the same thought processes that are creating a problem, to eliminate the problem. There is a lot of research on the use of hypnosis for weight loss, and the vast majority of it is very positive! 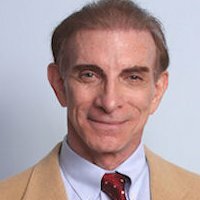 Alan B. Densky, CH, in practice since 1978, is a pioneer in the modern use of NLP and hypnotherapy for weight loss via hypnosis for appetite suppression. He is the author of NLP Programmer’s Guide To Wealth – The Practical Application Of NLP To Appetite Suppression And Smoke Cessation. His Neuro-VISION.us website hosts a wealth of Free hypnosis resources like hypnosis videos, newsletters, and a comprehensive article library. I lost 41 lbs., and it’s been easy to keep it off. Choose the Exact Hypnosis for Weight Loss Program That is Right for You! He is the developer of the Neuro-VISION Video Hypnosis Technology. The concept is so effective that the US granted a Patent to protect it. Mr. Densky offers a complete line of Ericksonian Hypnotherapy & NLP CDs, DVDs, & MP3s as well as free hypnosis newsletters and MP3 downloads.